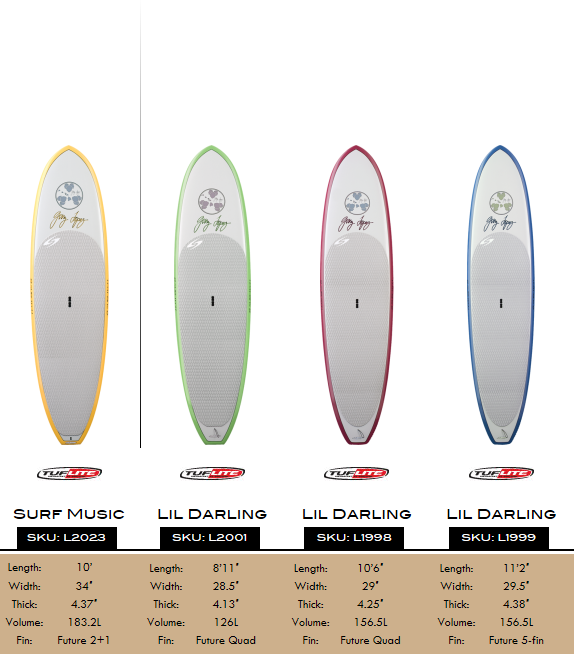 If you interessted in a SURFTECH board, pls contact us! SURFTECH - ein kleiner Auszug aus der Range 2012. Bei Interesse od. Fragen einfach bei mir melden. 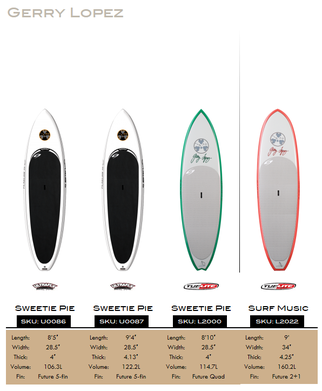 The 10' Gerry Lopez Surf Music SUP. The Surf Music shapes were designed with wave riding in mind. 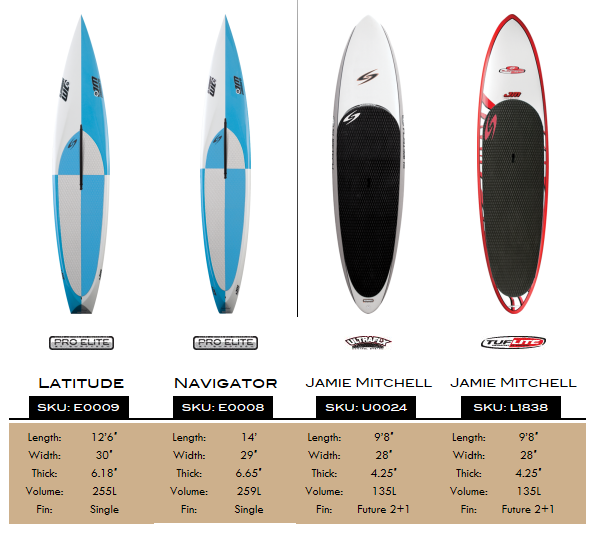 Many SUP designs lean more towards the paddling side. Gerry has taken the liberty of assuming the customer has already learned their paddling/balance skills and is looking to maximize his/her surfing performance. The bottom shape utilizes a single-to-double concave to give lift and speed in critical situations so going fast enough to make sections is not an issue. 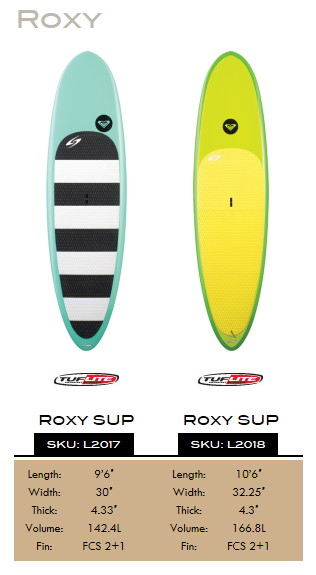 The concave bottom creates stability and the gentle rocker allows the board to slip easily through the water whether one is paddling for a wave or just cruising across flat water. The 10'' Gerry Lopez Surf Music SUP. The Surf Music shapes were designed with wave riding in mind. 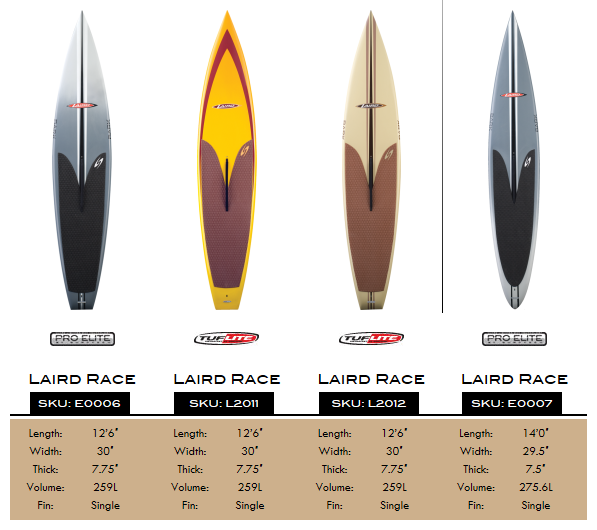 Many SUP designs lean more towards the paddling side. Gerry has taken the liberty of assuming the customer has already learned their paddling/balance skills and is looking to maximize his/her surfing performance. The bottom shape utilizes a single-to-double concave to give lift and speed in critical situations so going fast enough to make sections is not an issue. 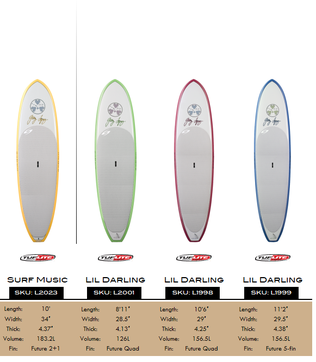 The concave bottom creates stability and the gentle rocker allows the board to slip easily through the water whether one is paddling for a wave or just cruising across flat water. Shaped from the Surf Legend Gerry Lopez. Marissa Miller, Signature SUP Boards. Jamie Mitchell, 10times Molokai 2 Oahu Champion! Surftech's B-1, for Wildwater Suping! 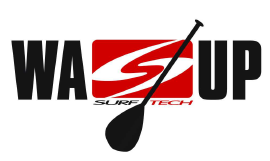 Surftech has teamed up with Bounce Composites to develop the most exiting, innovative and practical SUP construtcion ever! Utilizing exclusive new patent pending technology, the B-1 features a thermal composte fiber-fused polymer, resulting in a hi-performance SUP with unmatched strength to weight ratio! The Surftech B-1 is highly impact resistant, the resulting durability makes it easy to own and maintain.